Working on a small Raspberry Pi Laptop. 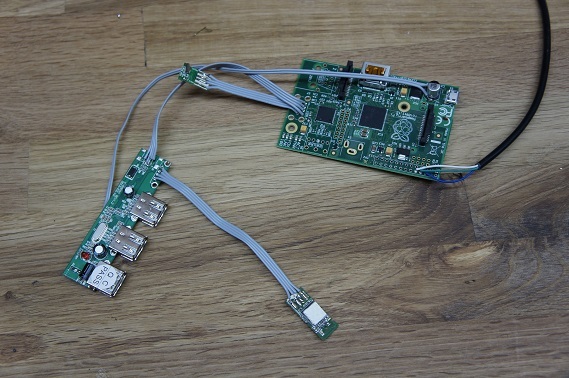 So far I have stripped the pi of all of its large connectors. I have the USB hub wired directly to the pads. The wifi adapter and dongle for the keyboard are also stripped of there case and soldered directly to the connections. I have a 7″ screen I will be using for the display. Looking into HDMI switches so I can use an external display. Previous PostTommy Update. More soldering action!Next PostFirst board for Tommy stuffed!